Several of Montana’s colleges and universities will be showcased on the counselor tour. Learn more about each campus and what they can offer students below. Montana State University is the state's land-grant research university and the largest institution in the Montana University System. With over 16,700 students from across the country, MSU offers hands on learning opportunities in over 250 areas of study ranging in agriculture, architecture, business, education, engineering, film, health and human development, the liberal arts and sciences, and nursing. MSU located in beautiful Bozeman, a culturally diverse city with over 65,000 residents. Bozeman is one of Montana's major tourism and agricultural centers. Located in the heart of Yellowstone Country, Bozeman is surrounded by four mountain ranges and hundreds of miles of blue ribbon trout streams in the heart of Yellowstone Country providing endless opportunities for outdoor adventures. This institution will be included in the bus tour. 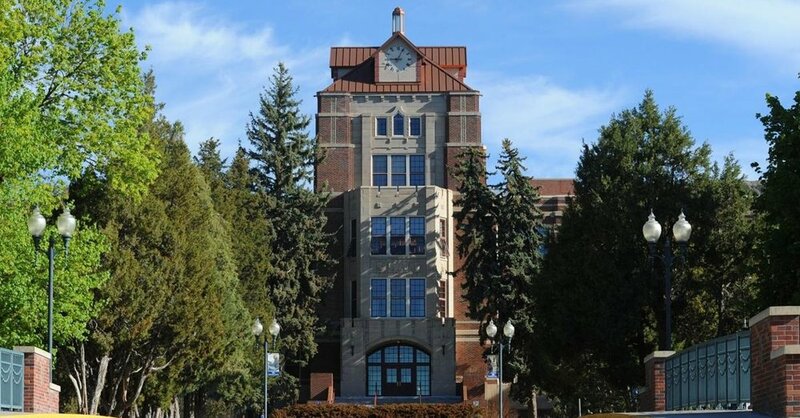 Established in 1927 and formerly known as Eastern Montana College, MSU-Billings is part of the Montana State University system of schools and enrolls approximately 5,500 students. The university continues to nurture a longstanding tradition of educational access, teaching excellence, civic engagement and community enhancement in an urban setting. In the classroom and in the community, students receive a well-rounded unique education and training for Associate's, Bachelor's and Master's degrees for careers through the University's five colleges (160 majors) - arts and sciences, business, allied health professions, education and technology. Set in the largest city in the state (100,000 people), Montana State University Billings and the community of Billings combine for a unique college experience. A regional retail, financial and medical hub, Billings offers a city environment in a rural state and a metropolitan feel for the students of MSU-B. This institution will not be included in the bus tour but it will be covered through a formal presentation. Montana State University-Northern is a part of the Montana State University system and was founded in 1929 as Northern Montana College. The university enrolls approximately 1,200 students in undergraduate and graduate programs. This comprehensive university offers degree programs ranging from teacher education to engineering technology, emphasizing both technology and liberal arts education. MSUN programs are in the disciplines of business, nursing, engineering and mechanical technology, teacher education, natural sciences, and humanities. The University functions as an important cultural resource and continuing education center. MSU-Northern is located in Havre, a rural town of about 9,500 people. Although agriculture is the undisputed financial mainstay in the area, the economy is diversified with farming, ranching, hospital and health services, education, professional and retail business, manufacturing, and railroad industries. Havre is the focal point of commercial activity in the area. As the largest city on the Hi-Line, it serves as a wholesale distribution and retail center for communities within 150 miles. The University of Montana offers programs of national distinction in the sciences, humanities, creative arts, health professions, ecology, and education. UM also includes professional schools in business, forestry, journalism, pharmacy, physical therapy, and law. The University draws a diverse population and contributes to an educated, engaged and vibrant community. Many outdoor opportunities - in and outside of the classroom - are available in the millions of acres of surrounding recreational and wilderness areas, including Glacier National Park. The University is located in the Missoula valley, the hub of five valleys and three major rivers, and home to 112,000 residents. Missoula County is the center of commerce and culture for the surrounding areas. Founded in 1889 as the Montana School of Mines, Montana Tech is a science and engineering college. While still focusing on its original programs in minerals and energy engineering, Montana Tech has expanded its offerings to include new science; engineering, computer science, technical communication, and business programs. Around 2,100 students are enrolled. Tech is located in historic Butte, Montana. It is a small city (approximately 34,500 people) located directly on the Continental Divide, surrounded by mountains and almost 4 million acres of state and federal public land. It lies on some of the world's richest mineral reserves and is a city rich in history, culture, sports, and the mining industry. Founded in 1893, UM-Western is part of The University of Montana family of campuses. Western's original mission was the education of teachers but over time, they have developed many additional degree programs. Around 1300 students are enrolled in any of the nine academic programs, including degrees in areas of Equine Studies and Environmental Sciences. UM-Western also developed Experience One, a scheduling model emphasizing active, hands-on experiential learning. Students focus on one course at a time and Western is the only public higher education institution in the U.S. offering this model. UM-Western is located in Dillon, a small town of 3,800 in beautiful, south-western Montana. As part of the Greater Yellowstone Ecosystem, Dillon is a natural playground surrounded on three sides by the Continental Divide where students enjoy unparalleled hiking, biking, climbing, and fly-fishing.